Real estate is very important relative to the size of the Canadian economy, in no small part due to longstanding robust foreign investment in a country perceived to be politically stable with strong legal frameworks and the country’s low population density. Real estate is an especially attractive vehicle to park money as it is an asset class with fixed-income like cash flows due to the long-term, contracted nature of rent. In this article, we talk about some of the trends we see. In a future article we will discuss trends in major real estate asset classes. Countries with similar characteristics have seen growing inbound cash flows through the last decade primarily from China, namely Australia, New Zealand, Singapore and the UK. The US has also seen substantial inflows for trophy properties (premier, landmark properties) from Chinese purchasers, but that has been curtailed due to new restrictions from the Chinese government in terms of leverage and outbound M&A prudence. However, given the size of the US market, the effects of Chinese investment are relatively more muted. Widespread capital flight has been targeted with capital controls in China pertaining to how much Chinese Yuan (RMB) can be converted at one time has stemmed many of the less determined real estate buyers. Non-state owned private players using a lot of leverage (recently HNA Group and Dalian Wanda) have had outbound M&A opportunities vetoed. Many wealthy Chinese have been looking to move cash flows out to diversify their holdings or to exit China permanently. Although much of this is from a legitimate diversification standpoint, a material amount has a strong money laundering component as the cash is ill-gotten from graft. Real estate put into assets with high cap rates or all-equity development projects have been effective ways to making money difficult to trace. Retail assets such as restaurants are also popular due to the high volume of cash transactions. A high cap rate strategy could be industrial or rental assets in less attractive, but economically robust areas such as Saskatchewan. With an 8% cap rate with ample leverage, the original investment can be recovered quickly. A development project in Vancouver should bake in a minimum 15% unlevered return, and once pre-sales for condominiums are in, the money is washed clean. That said, without local expertise on the ground, many of these development projects end up being money losers despite high real estate prices due to poor planning around development costs and budgeting. Nonetheless, legitimate immigration will be a far bigger boost to real estate going forward as China continues to see world-beating GDP growth while a percentage of the burgeoning middle class looks for a lower price per square foot in an area that can provide good education for their children without being too competitive. It is important to remember that just 1% of China’s population (14 million) is equivalent to almost 50% of Canada’s population (36 milion) and more than 50% of Australia’s population (24 million), so residential real estate has room to run. New Zealand has a population of 4.5 million. 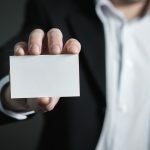 Although many Chinese are looking for citizenship or permanent residency (PR), they are not looking to work in Canada as they usually have established businesses abroad. Other than for meeting investment thresholds for accelerated PR status or citizenship, foreign investors seldom start a business in Canada due to a less competitive business environment unless it is a business focused on export on the Pacific Rim (seafood, meat, goods to or from China). Wealthy established Chinese are more interested in lifestyle cities with a strong service industry and an established Chinese diaspora. Often, the family patriarch will remain in China to conduct business while the family stays in Canada. As such, cities such as Vancouver or Toronto may not have the economic benefit of the business but will have ample consumption spending focused on retail – luxury goods, restaurants and premier automobiles. This creates a distortion evidenced in Vancouver where incomes are low but real estate prices are high and the service industry is robust. Entrepreneurial Chinese who immigrate with less wealth sometimes settle in more sparsely populated, agricultural or industrial centres. A lot of charts and graphs have been wasted in illustrating how there is a clear real estate bubble in Canada, in particular Vancouver and Toronto. There is no bubble in Vancouver and there is no bubble in pockets of Toronto. For a bubble to occur, speculators have to drive prices far above intrinsic value to the point where a speculator is purchasing an asset to look to sell to a greater fool. If we look at the metrics and figures repeated in reputable publications such as Bloomberg, it is true that as a multiple of income, housing prices in Vancouver are one of the highest in the world. It is also true that Vancouver housing prices (along with Melbourne) have seen unprecedented growth year-over-year consistently. If operating in the framework that only people from Vancouver could purchase houses in Vancouver. However, this is not reflective of reality – there is ample foreign capital flowing into Vancouver as anyone who walks into the UBC parking lot can figure out immediately. The Canadian dollar is relatively cheap in USD terms, and on a USD basis, prices per square foot are still low compared to Hong Kong, Singapore or any prime area in a Tier 1 Chinese city. A $15 million mansion in Point Grey would go for $100 million in Hong Kong. Again, considering the population comparison, instead of the population of Vancouver bidding for prime real estate is dwarfed by the 1% in foreign countries. Outside of Vancouver, there may be a bubble. Because of broadly rising prices in Vancouver and Toronto, suburbs that do not have the same demographic factors in play for them have seen local Canadians bid up prices to much higher multiples of income using substantial leverage. These properties may not have buyers step in should payments become stressed from rising interest rates on substantial personal and household debt. A lot of focus has also been on comparing Vancouver with other urban centres and how Vancouver has seen outsized returns. Although this is an eye-catching story, the comparison is flawed (any investment banker can tell you that figures can be distorted if the wrong peer group is selected). 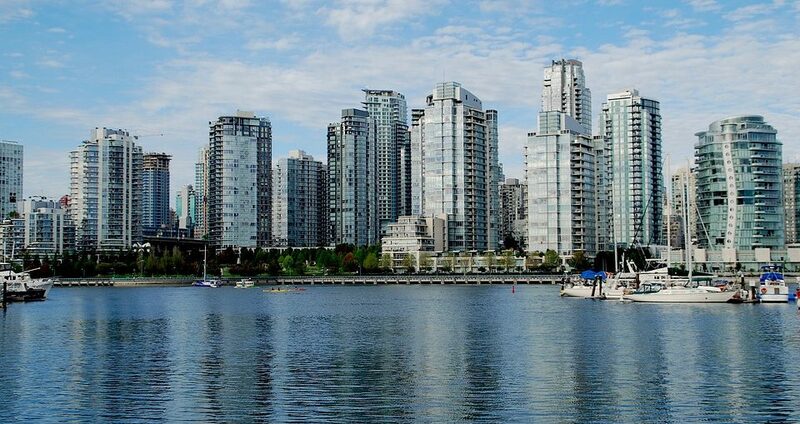 Vancouver as a city is very small in area, but is relatively dense in population versus the rest of Canada. When Vancouver is compared to a city such as Toronto, statisticians do not consider that Toronto encompasses multiple boroughs (Scarborough, Etobicoke, North York, East York, Old Toronto) that are comparable to Richmond, North Vancouver, West Vancouver, and Burnaby in the Greater Vancouver Regional District (GVRD). Although the GVRD has seen asset prices rise substantially as a whole, figures that include the aforementioned suburbs or additional population centres such as Surrey make the growth rate far less pronounced. There is plenty of space to develop outside of Vancouver in the metropolitan area – after driving out of the city limits for ten minutes you can see bovines. The other ideas is that, if houses are expensive, it makes sense for developers to build as they will see endless profits. The land has been bid up in Vancouver, but this is mainly a function of there being very little prime land leftover. There are major swaths that are protected, such as Stanley Park, and the city has been focusing on adding density (which cannot be too much due to the importance of nice views in Vancouver) to existing commercial areas or developing previously uninhabited space (the River District on Marine Drive). Housing prices have to go up because there is an absence of land, with the scarcity situation being exacerbated by various restrictions on building. Other than Alberta, major population centres such as Ontario and BC have socialist (albeit not with Chinese characteristics) regimes that put restrictions on rent increases and heavily favor tenants over landlords. Due to housing shortages, governments have also pushed taxes on purchases by foreign buyers and vacancy taxes. As such, real estate returns must be higher in order to justify investing. Tenant friendly laws can make jurisdiction with low cap rates uneconomic should the wrong tenant be selected – as such, the only way to make an economic profit (recall: a profit beyond the opportunity cost of an investment) is via perceived price appreciation. This has had an impact on developers for multifamily apartments as well. Planned projects that were meant to be fully rented out have been redesigned for condominiums instead to get rid of the rental risk.